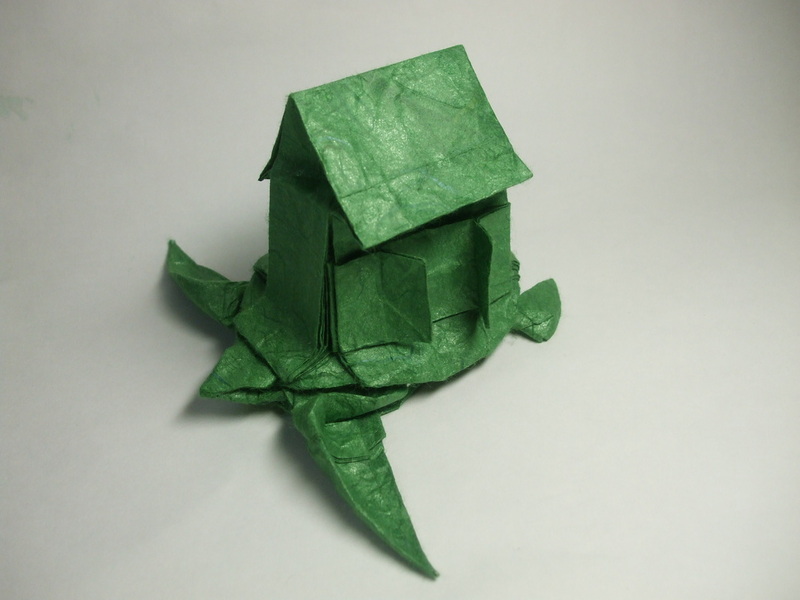 The first origami I did (maybe around 2002?) was probably weaving rectangular strips of waste paper together. In my leisurely childhood, I wove my own decorative mats, cubes (with the Borromean Rings structure as I recently noticed), and even a makeshift schoolbag. Eventually, I picked up simple traditional origami models like the crane, and I practiced intermediate models introduced to me by a colleague of my mother. The turning point came when I folded Robert Glynn’s Eiffel Tower. The instructions describe how to fold a cuboid sticking out of the paper while the surrounding paper was flat. 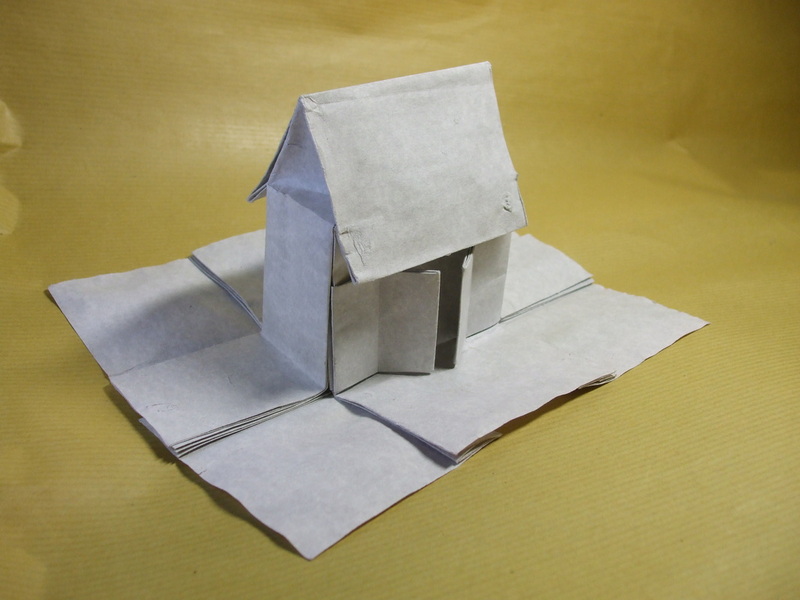 The surrounding paper could then be treated as a new sheet of paper and folded into more cuboids. That way, the cuboids could be “combined” to fold the Eiffel Tower with one sheet. The concept piqued my interest so I experimented by combining the cuboids into my own structures like pyramids. I developed my own “origami components” such wedges and flaps rising from the paper and cuboid holes sinking into the paper. I had fun combining these “components” into more complex “extrusion origami” structures like houses and castles. In 2008, I generalized the extruded cuboid, formulating an algorithm to draw the crease patterns of extruded prismatoids. In 2009, I extended that algorithm and implemented it with a computer program to fold biplanars, a more general class of polyhedra. I presented that research at 5OSME, after which I generalized the prismatoid algorithm in another direction. I stacked right frusta (a type of prismatoid) into axial symmetric polyhedra. I currently fold little origami, occasionally designing origami models of extruded words. I am continually researching the math behind origami design algorithms. View my origami designs at my gallery, including a recent foray into modular origami.